“What’s the weather forecast?”, came the question from Mrs Hill..
A few buttons were pressed and a few seconds passed and, and, I couldn’t believe my eyes..
Was this the forecast for Barcelona..? I checked again..no, it was Stourbridge. The Autumn leaves were falling and conkers were on the ground. But, here we were with one last chance of the year to do a warm, tee shirt clad walk. The only question was where to go? 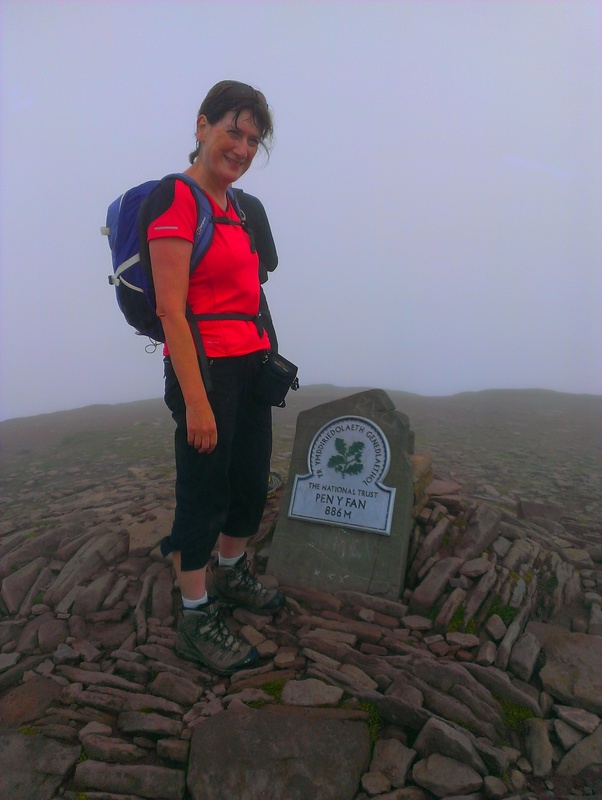 It wasn’t long before we decided that the mountain to climb was Pen y Fan in the Brecon Beacons. This can be, and very often is, a wild and dangerous area. It’s used by the SAS for training. 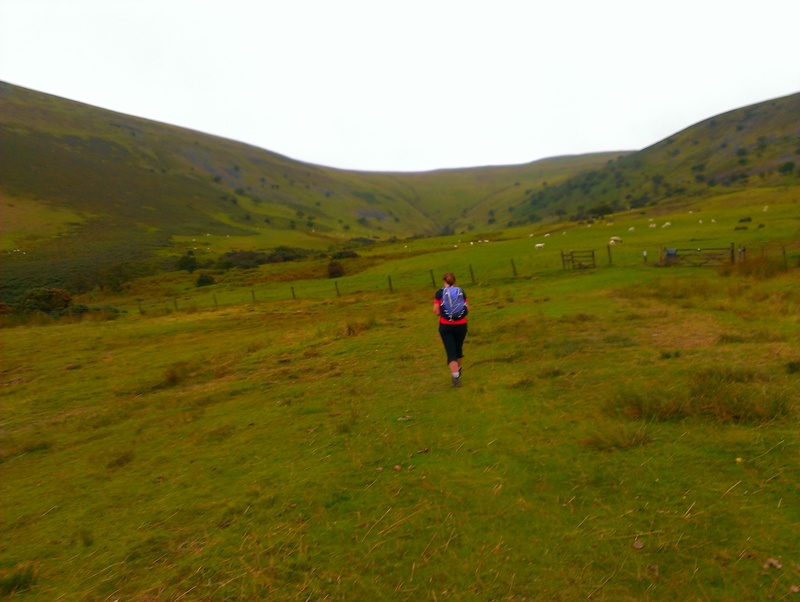 The terrain is “difficult” and the weather is “changeable”. We’d made a couple of attempts to tackle this walk before but we’d always been defeated by the weather, particularly the high wind’s. The prevailing wind in the UK is from the South West and it comes in from the Atlantic, gets funneled up the Bristol Channel gathering speed until it slams into the Brecons. The last time we were in this area was in August a couple of years ago and it was blowing a force 10. I literally had to hang on to Mrs Hill to stop her from being blown away (she is only small…)! I checked the weather for the area again and the forecast was for warm temperatures and almost no wind. Perfect! 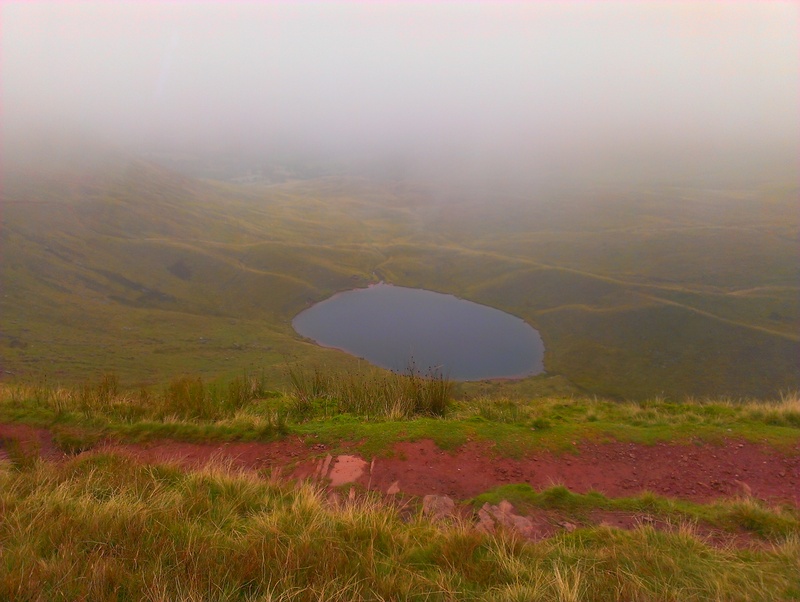 Pen y Fan is the highest mountain in Southern Britain at 886m and is one of the 3 icons of Wales, the other 2 being Cadair Idris and Snowdon. 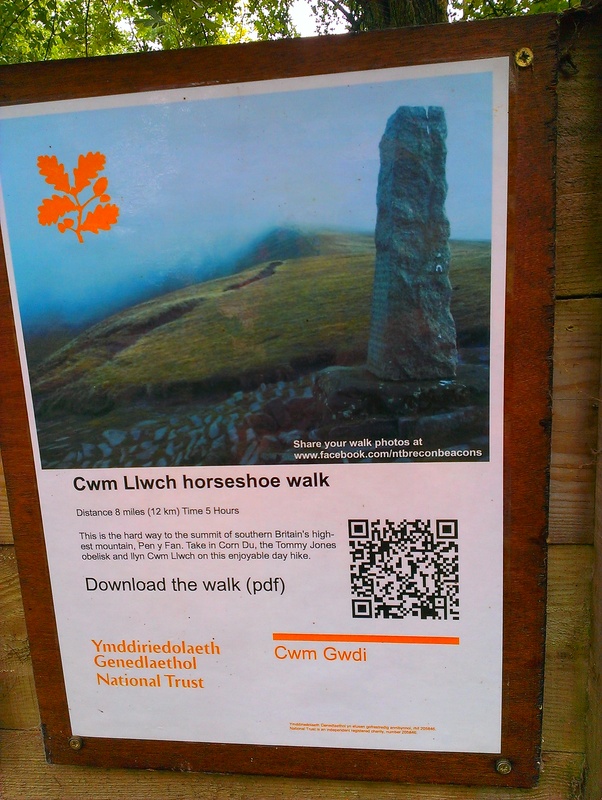 We’d done Cadair in February so, plans were made…. Like most mountains, there’s more than one path to the top. 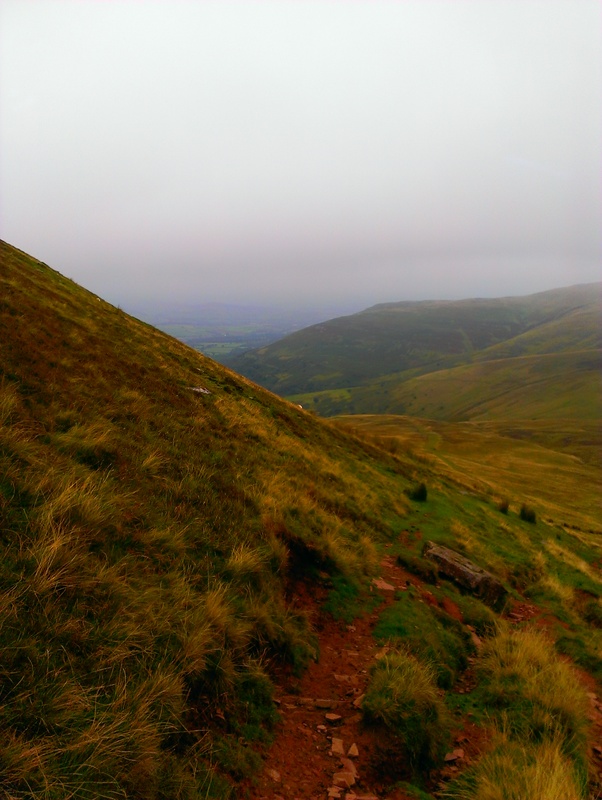 Pen y Fan has an easy route, coming from the West, with what we’d seen described as a “motorway” of a path that can be walked by children as young as 7. The other, much more difficult route came down from the North and involved a climb of around 2200 feet, culminating in a scramble up the spectacular North face of the mountain. This had to be the way to the top! The views from the top on a clear day were reported as being legendary. 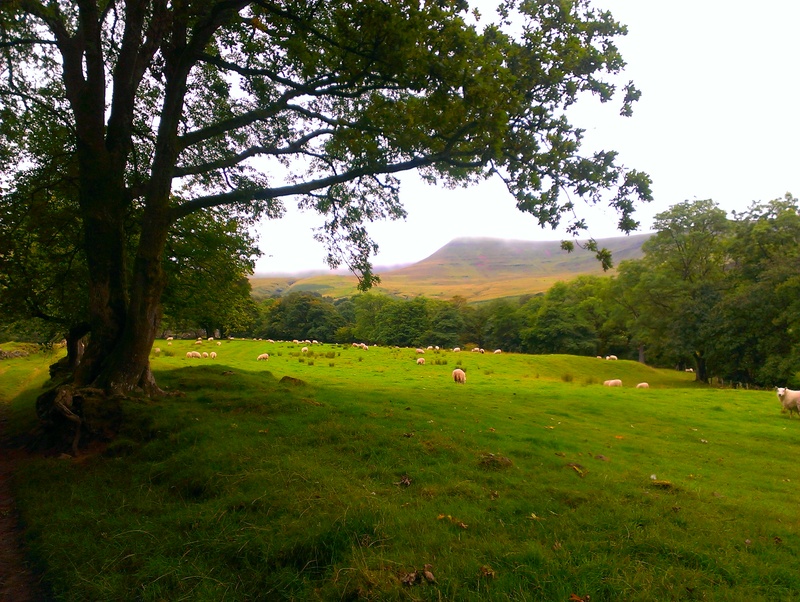 On line reports spoke of being able to see as far as Cadair Idris to the North and the Devonshire coast to the South. Given the fact that darkness falls around 7 and that it’s over 2 hours drive, an early start was essential. We made plans to be up for 8 and out by 9 on Sunday morning…. Our rucksacks were packed and Sheila was loaded. We’d decided to take all our waterproofs and survival gear because although the forecast was good we were still very much aware of the “changeable” nature of the weather in the area. We were on our way at around 9:30 and after an uneventfull journey we arrived at the Cwmgwdi car park. 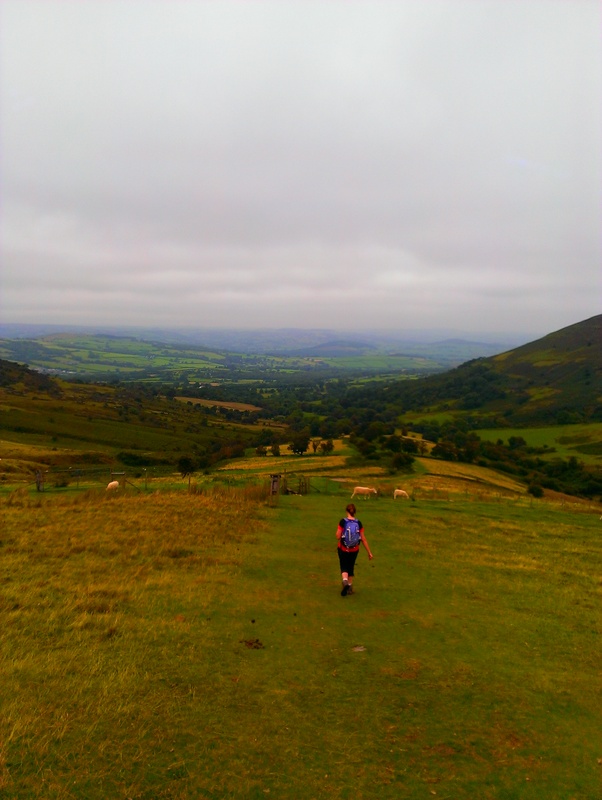 We said goodbye to Sheila and headed for the ridge that ran South to Pen y Fan. Five hours…to do 8 miles…hmm..
As we started our climb the first thing that we saw were two members of the Mountain Rescue who were training a Spanial in the art of search and rescue. One was holding the dog, blindfold, while the other ran and hid under the bushes. The dog was then released to go and find him. When the dog was successful there was much praise and lots of treats! As we climbed up the ridge, although it was warm it became very misty. Looking back towards the start..
A little further on, still climbing, we were now totally enveloped by the mist. We could still just about make the path out, but as for the spectacular views, there weren’t any…! Our map guide told us to look out for a lake far below us to the right, but we may as well have been looking for Lake Achensee for all we could see .. It was still warm and the wind was very light – so light in fact that I think it was causing the problem. There wasn’t enough wind to blow the clouds away. Undaunted, we carried on along the ridge, using my compass to keep us on the path, until we were just able to make out a steep summit in front of us. 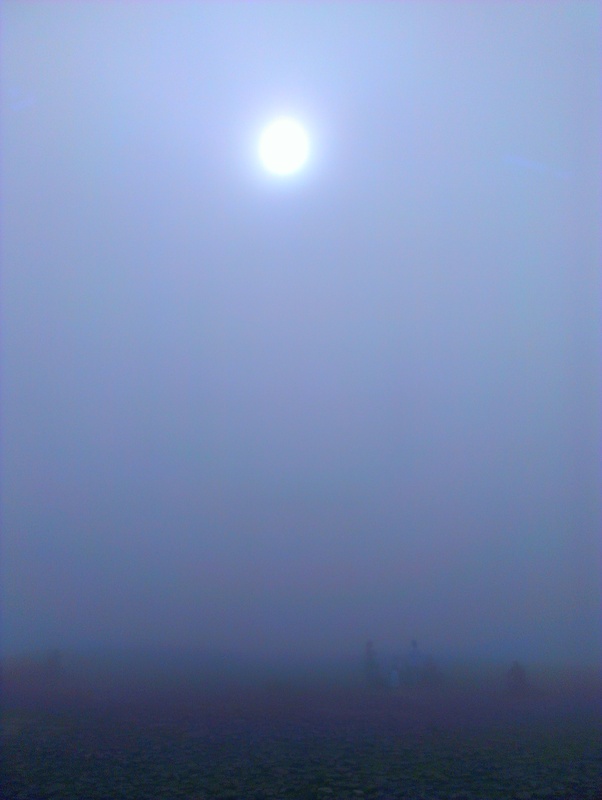 What we couldn’t see was how high we had to climb, which was probably just as well…. This was tough..there was no path, this was mountain climbing with virtually zero visibility. All we knew was that we had to keep going up. 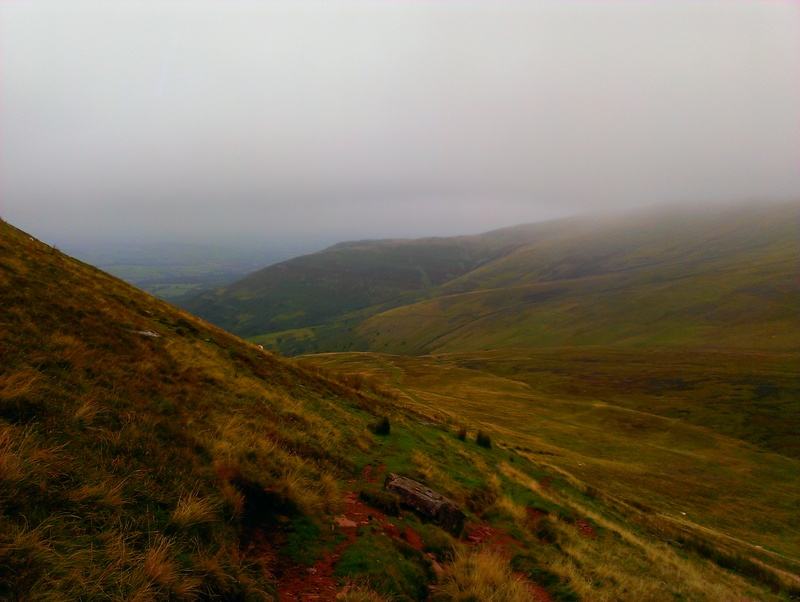 After what seemed like an eternity climbing what had to be the North face of Pen y Fan I thought I could hear voices…. Bearing in mind that when we did have some visibility there was no one either in front or behind us, I considered the possibility that I was hallucinating. But no, Mrs Hill heard it too..and then..we were at the top..! There were dozens of them..! It was like we’d climbed up a ladder on to the roof of the mountain to see this crowd who’d obviously come up the motorway route from the West! We waited our turn to get the compulsory photo at the top.. It was at this point that the sun tried to come out..
What a view..is that North Devon? 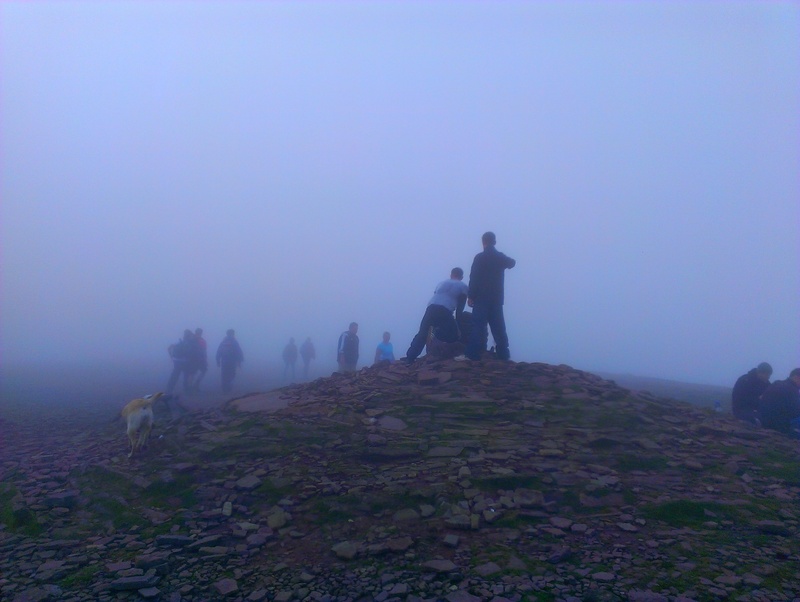 Now we turned West, coming off the summit of Pen y Fan and heading for it’s little sister, Corn Du. We were on the “motorway” path, the easy route up to the top. Here, everyone seemed to be having loud conversations, either on their phones or with their friends nearby. We came off Corn Du with a group of 4 people who felt that shouting at each other about the Swansea v Spurs match was a conversation that all the mountain wanted to hear..! Fortunately, it wasn’t long before we left this path and headed North again towards the invisible lake. Silence descended, and so did we, as we came down through the mist to see….Lake Achensee..! 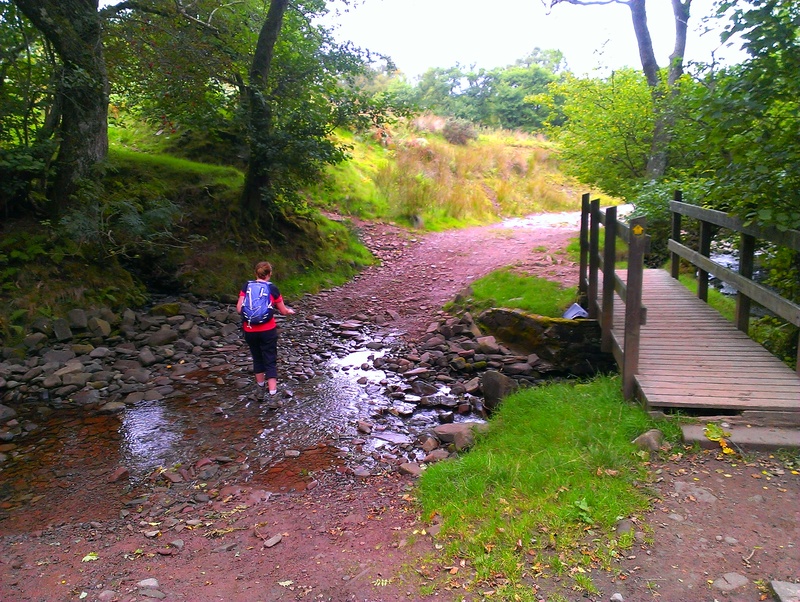 Actually it was Llyn Cwm Llwch…. High above the lake, there’s a memorial to Tommy Jones. He was a 5 year old boy who got lost on the mountain over 100 years ago on the same day that the Queen Mother was born. The path gradually wound its way down the mountain, skirting the western edge of the lake and then heading north down the valley. As we came onto the lower slopes the landscape changed. The stark beauty of the mountain became a little softer. Trees were a more obvious part of the scenery as we came to a stream..
Mrs Hill took to opportunity to demonstrate the skills that she’d learnt last month in the Lake District..! 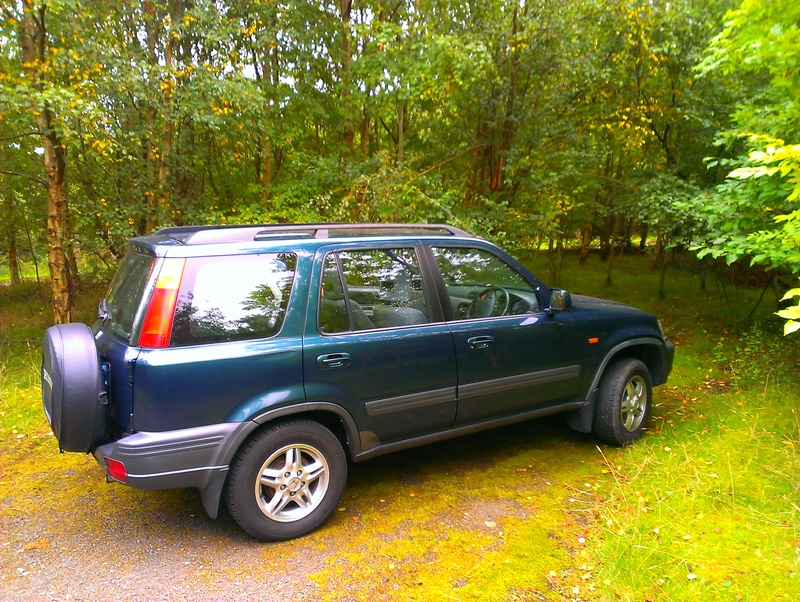 Soon, the track turned into a quiet lane that took us back to the car park and our ever faithful Sheila. 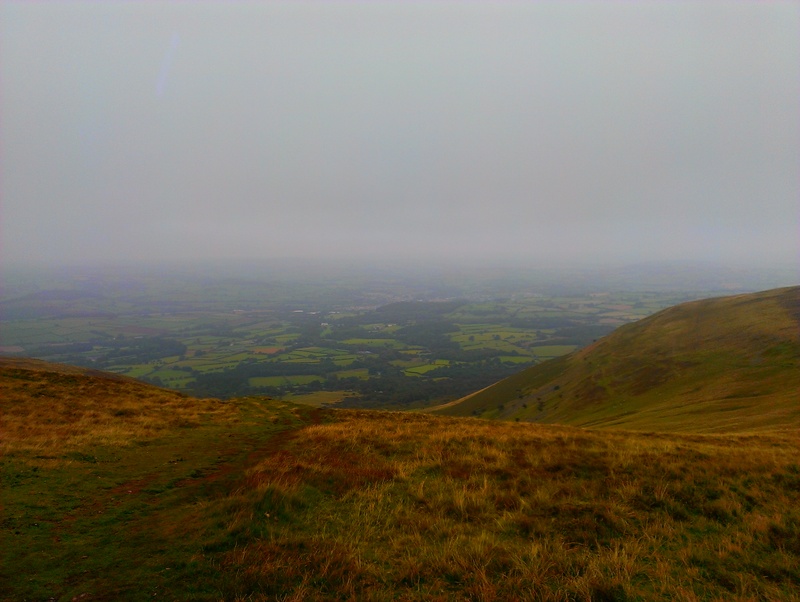 To sum up today’s walk, I’d have to say that Pen y Fan is all about the fantastic views and we didn’t get to see them! I suppose that we’ll just have to do it again. We thought that the weather was going to be perfect and in many ways it was – warm temperature and just a light breeze. Maybe next time we’ll go there on a freezing cold day with a deep blue sky and snow on the ground. Now, that would be perfect ! !